A ballot initiative in California could impact animal confinement standards across the U.S. for egg-laying hens, breeding pigs, and calves raised for veal. Photo credit: Unsplash. This November, California’s ballot will contain a landmark initiative supporting efforts to end animal confinement. 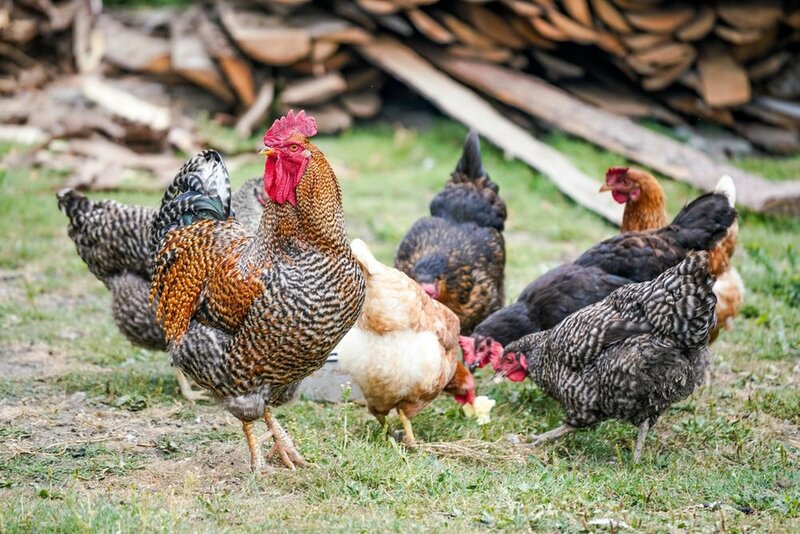 Entitled Proposition 12, the ballot measure establishes minimum space requirements for confined egg-laying hens, breeding pigs, and calves raised for veal. The proposition is an important step towards ensuring the welfare of farmed animals, who receive far fewer legal protections than other animals in the U.S. The legislation is backed by nearly 500 California veterinarians, ASPCA, Humane Society of the United States, California family farmers and animal shelters, and the Center for Food Safety. This initiative expands on protections first established in 2008, when California overwhelmingly passed Proposition 2. This proposition, then the boldest measure of its kind, stated that animals must be able to turn around, lie down, stand up, and spread their wings fully. The proposition passed with 63% of the vote, making it one of the largest ballot victories in the state of California at the time. However, because it lacked specific space requirements for animals, critics say the law was too vague to be enforced effectively. Prop. 12 is much more specific, requiring 43 square feet of living space for calves, 24 square feet for breeding pigs, and 1 square foot for egg-laying hens. These space requirements would take effect in 2020. By 2022, no matter how much space they have, egg-laying hens will be required to live in cage-free facilities. The sale of meat or eggs from animals who do not meet these requirements will be banned if the bill becomes law. The proposition could have a significant nationwide impact on animal treatment. The ban will extend not only to animals raised in California but also to imports from other states. Because California historically imports around 45 percent of its eggs, other egg-producing states are already experiencing economic pressure to comply with the standard previously set by Prop. 2. The legislation could also stimulate further legal and corporate initiatives in other states. After the passage of Prop. 2 in 2008, laws restricting cages in egg production were also adopted in Massachusetts, Oregon, Washington, Michigan, Rhode Island, and Ohio. Similarly, businesses are increasingly responding to public demand for animal rights: McDonald’s, Walmart, Target, Costco, Subway, and Dunkin’ Donuts, among others, have all made commitments to transition to eggs from cage-free hens. Volunteers across the U.S. can participate in efforts to pass Proposition 12. Photo source. Some critics argue that this legislation doesn’t go far enough, since Prop. 2 was already intended to ban cages for egg-laying hens by 2015. In a statement on their website, Californians Against Cruelty, Cages, and Fraud claims that “this backsliding proposition, in fact, explicitly legalizes the continued use of egg-factory cages until, at the very least, 2022.” Groups opposing the legislation on this basis include Friends of Animals (FoA), People for the Ethical Treatment of Animals (PETA), and the Humane Farming Association (HFA). As part of the effort to drum up support and awareness around Proposition 12, Mercy for Animals has been throwing house parties throughout the nation. The parties help to raise the much-needed funds for the campaign to educate voters about the proposition, as well as recruiting volunteers to take action on behalf of the campaign. The organization works with volunteers not only to host house parties, but also to help with yard-sign handouts and write letters to the editor in their local newspapers educating readers about the importance of voting yes on Prop. 12. They are also helping to get out the vote by using an innovative app called Hustle, which calls and texts California voters individually to encourage a strong showing on November 6th. Takeaway: Want to help pass Prop. 12? Visit PreventCrueltyCA.com to volunteer or donate to the campaign, share information on social media, or host one of Mercy for Animals’ house parties. No matter where you live, you can help support this vital measure for animal welfare.